Formula Forza Merger Is Complete! After many months of planning and development we here at llbm are extremely pleased to announce that we have officially completed the merger between LLBM and Formula Forza. Formula forza is one of the greatest online racing organizations on the planet and this merger will only help the development and growth of llbm and formula forza as a whole. From now on, all LLBM activity will run through formulaforza.com. There is a new qualifying format on formulaforza.com that is quite similar to LLBM except there is live timing now! There are many other improvements including the overall structures of our leagues and many other details. Our websites will remain open for now and there will be further information on the website in the near future. As for the facebook page and our twitter feed, we will be releasing more details regarding those shortly. LLBM At The 2013 Canadian International Autoshow! On February 15, LLBM representatives BTR Villeneuve and BTR Raikkonen will be attending the opening day of the 2013 Canadian International Auto Show in Toronto. The two will be exploring every manufacturer's display at this year's auto show and will be vlogging it on LLBM's official youtube channel (http://www.youtube.com/user/LLBMmotorsports) to help share the auto show experience with LLBM! Also if you're in Toronto this weekend, why not take in the auto show with BTR Villeneuve and BTR Raikkonen! Keep checking the youtube channel over the weekend for the full auto show experience and we hope to see you there! LLBM V8 Supercar Website Is Live! Sign Up Now Open! 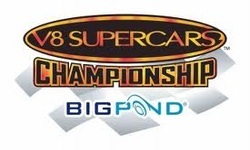 The LLBM V8 supercars championship was announced back in December of 2012 but the website is now live which means that driver and team sign up is now open! Signing up is a breeze. Just use the buttons on the home page and fill out the registration forms and you are ready to go! We truly hope that our first ever v8 supercars championship will be a hit and we hope to see you and your team on the track come april! The official 2013 Formula forza draft took place today through a live facebook event. It was a tense day for all of the team and especially LLBM. With LLBM Autosport picking second, the pick that they wanted was clearly the Mazda 787b. Of course with each manufacturer being available to only 2 different teams, LLBM Autosport picking second was perfect. They picked up exactly what they wanted. Kinotsu555 and Jr Anxiety will be driving mazda 787b's in for the 2013 season. Not bad for a development team in their first year! 1. J.E.T. Motorsport Fort wayne: Peugeot 905. 3. J.E.T. Motorsport International: Acura arx-01b. 4. J.E.T. Motorsport Lotus: Mazda 787b. 5. Caterham team GB: Peugeot 905. 6. J.E.T. Motorsport: Acura arx-01b. 7: J.E.T. Motorsport Toyota: Aston martin lola. 8. BAR: Bmw v12 lmr. 9. XBR EGGY Dog Biscuits: Aston martin lola. 10. Tech Life Racing: Bmw v12 lmr. 11. Audi Vitaphone Racing: Audi R8. 12. Team Repsol: Ferrari F333sp. LLBM Are really looking forward to a strong Formula forza season come 2013 and are looking to make the LLBM name proud with both of our teams. Our 2 teams are officially paid and registered for the upcoming 2013 formula forza r1 world championship (Official partners with LLBM). Our first team, LLBM motorsports will feature drivers clementelithe and Pipen629, both very well known to LLBM and formula forza. clementelithe and Pipen629 showed there might in last years championship on their own separate teams and are now poised to do the same as team mates for the new season. Our other team, LLBM Autosport is also paid and registered to compete in the coming year and will feature two rookies to formula forza but are also well known among the LLBM Gallardo cup. Kinotsu555 and Jr Anxiety will be team mates together for the first time in all competition in formula forza 2013 and will be looking to impress on our toro-rosso esque development team. Both teams will be representing LLBM and should prove to do just fine in the new year. The 2013 draft takes place this sunday (november 11, 2012) to determine what teams will be in what cars. It will be a nice surprise to see what the two teams will select on sunday and we will inform you all what the team picked on sunday. A grid of 12 cars took to the technical track of Mugello for the third round of the formula forza mazda furai cup. BSMDxHuffman and Scholesyslash46 both had personal best qualifying results as BSMDxHuffman started 7th and ScholesySlash46 started 12th. The race started off well with no problems for anyone and BSMDxHuffman had moved all the way up to fourth! But disaster struck literally when BSMDxHuffman lost power and did not complete the race. Disaster for Huffman. ScholesySlash46 however made it better for LLBM jumping four spots to take a personal best eighth place finish for himself. It was a wonderful day for the England native. With these results, BSMDxHuffman sits 16th in the driver standings and ScholesySlash46 sits 11th while LLBM sits 5th in the team standings which means that we are in the winnings section of the standings. LLBM News Letter now on stands! Just wanted to let you all know that LLBM has officially joined the twitter scene. If you want another way of keeping up with all things llbm then check us out on titter by pressing the twitter button at the top right corner of the website. And while you're at it, feel free to check us out on facebook as well! We can use all the likes and follows we can get. Thanks everyone! Our formula forza mazda cup team is now complete! Scholesyslash46 has officially signed with LLBM and has completed our driver roster for the 2012 season. Scholesyslash is a newcomer to the LLBM and formula forza scene but he should prove to be quite the competitor in the mazda cup. Now with our driver roster complete with BSMDxHuffman driving the black mazda and Scholesyslash driving the white mazda, LLBM team mazda is now eligible to compete in the 2012 formula forza mazda cup! Watch out for LLBM to be at the top of the team standings and for our drivers to be great competitors in the drivers championship! Our website is complete and you can now officially sign up for the LLBM 2.4 hours of nurburgring. We are hoping that this will be one of the most popular races in forza 4 and we are looking to have as many cars as possible for the first running of the LLBM 2.4 hours of nurburgring. Visit the official website at www.llbmnurburgring.weebly.com and be sure to sign up! LLBM have officially recruited there first driver for the formula forza mazda furai cup. American driver BSMDxHuffman will be racing for us this summer to kick off the inaugural season of formula forza mazda cup. Huffman has proven his skills time after time on leaderboards, and in the llbm le mans series and llbm gallardo cup and we are so glad to have him racing for us this year. Remember folks that there is still room for one more driver so if you're interested, then don't wait or else that final spot may be gone before you know it! LLBM Motorsports have officially announced that we have created our first ever racing team outside of an llbm league. LLBM will be competing in the formula forza mazda furai cup. A spec series for the incredible mazda furai. The only upgrade is a twin turbo. To learn more about the league, visit www.formulaforza.com. To sign up as a driver for the llbm racing team, simply visit the llbm teams page on this website and fill out the contact form and we will get you on your way! No need to pay any money as clementelithe will be paying the team buy-in and will also be supplying the mazda furai's for the drivers. The dyson racing porsche rs spyder was announced as part of the porsche expansion pack today! It is just as good looking as it is fast. It was built as an lmp2 car but was easily capable of taking down the big guys in lmp1. The car is spectacular in every aspect and we are very pleased to see porsche return to forza and enter the llbm le mans series! the amazing group c car, the 962c was also announced yesterday but we have still not decided whether or not it will be legal for the le mans series due to pure dominance, much like it's group c sister, the mazda 787b. Either way, wonderful additions to the porsche pack! It was announced today that there will be a new competitor in the gt2 class of the LLBM le mans series. The petersen white lightning gt3 rsr is a new addition to the gt2 class and will be available as part of the porsche expansion pack on may 22nd. There will be 2 races left in the le mans series at that time for anyone who will be looking to use the porsche. Hopefully more le mans cars to come from porsche in the future! Welcome to the new websites! Yes it's true, the LLBM motorsports website, along with our racing leagues, now have there very own websites! We'd like to thank weebly for giving us such a great website builder and allowing us to create these new wonderful websites. We hope you enjoy the new websites and make sure to sign up for our leagues!